Branches beginning with “v” are stable, static versions. The master branch gets continually updated from the devel branch, whenever the xrdp authors think that changes to the devel branch are good enough to be moved into the master branch. The devel branch is the Bleeding Edge. If you choose to use this branch, things may not work properly, or compile, etc. So, use at your own risk. By default, o-matic uses the master branch, if you do not specify the branch to use by utilising the --branch <branchname> switch when running o-matic. sudo ./X11rdp-o-matic.sh --justdoit, will use the master branch. sudo ./X11rdp-o-matic.sh --justdoit --branch v0.8 , will use the stable 0.8 version. As mentioned in the change summary above, generated .deb package names will depend upon the branch chosen. When the master branch is used, the resultant .deb package name will be xrdp_0.9.0+master-1_amd64.deb , on a 64-bit version of a Debian-based distribution. The “+master” or “+devel” part is now added so that you can distinguish which branch you chose when you invoked o-matic. The “0.x.0” number for the master and devel branches is obtained from the version number that the xrdp authors have chosen for the new release that they are working on. Obviously, your resultant debian package name will differ from the examples above, depending upon the CPU architecture your system is running on. Please do use the --help switch, as it will assist in running o-matic. The help screen will also retrieve and display a list of the currently available branches. First of all, I would like to thank you for this wonderful website. certificate error occurs on some older versions of wget and is a known problem. (Refer – https://github.com/radical-cybertools/HT-BAC/issues/5) . The fix is simple , just add the --no-check-certificate option to wget. So ‘wget --no-check-certificate -O $TMPFILE $README >& /dev/null‘ works and downloads the text file. And the installation finishes perfectly. Not many people would be using Ubuntu 11.04 but I just wanted to mention it here in case some other lost soul finds it useful. Once again, kudos on such great work. I’ve pushed a change incorporating your fix to the devel repo. I keep following a tangle of links for the 3.x version but no actual download link is prominent. This points to the X11RDP-o-Matic Information page. The reason I do this, is because I believe that the users of O-Matic should know what they’re doing, and how O-Matic works, and what options to use, and so on. The download link is at the end. I honestly do not understand why one or two people are downvoting the above answer. This blog entry is an announcement of that release. Currently running Ubuntu 12.04 8 core processor 12 gig of memory, and have 15 stations running all day every day. They run my practice management software in a wine session over x11rdp thanks to your work and script. Figure 150 per station in cals and a ms server license etc etc, you have saved me a lot of bucks. John – seriously, thank you very much! It’s also good to read about your success with your set-up – looks awesome! Just for the record, I ran the script on a very minimal thin client booted from a memory stick into Ubuntu 14.04 desktop. Installed xfce and it all runs just dandy. (slow in this setup, but I wanted to take it to the extreme) Unity 2-d was and still is running just fine on 12.04/x11rdp shared sessions.. in both the 32 and the 64 bit flavors. Too bad they didn’t keep the drop back to 2-d option in ubuntu.. I like the look of the desktop … yeah I know overhead blah blah, but it really is a nice looking desktop. Hello, it seems mouse cursor is messed up on Ubuntu 14.04. Tried to run with MATE desktop but I think that has not much to do with it. I tried setting new_cursors=no, it’s better but still black and white. Also what do you suggest to implement language and desktop environment selector in the login view? For xrdp problems, you’re better off asking in the xrdp-devel mailing list, there’s a link to that on my FAQ page (link at top of site). Hi, I have to say i really liked your program, but..
After I have installed, it worked great for about 10 minutes, but then it just quitted. Think of it as an alternative way of installing Xrdp. The Linux distribution you use (you didn’t mention which one it is but it’ll be based on Debian) supplies quite an old version of Xrdp. They also don’t supply any package for the X11rdp back-end X server – instead these distributions gets you to use the Xvnc back-end, because it’s easier to do. What my o-Matic script does is download the more up-to-date source code for Xrdp AND X11rdp, and compiles those then creates Debian packages for the system you’re using. In other words, both Xrdp and X11rdp – the things you’re experienceing problems with – are not my work. o-Matic is actually used by the authors of Xrdp & X11rdp as a convenient way for them to test their software. Great tool! When I try to RDP into the Linux machine, it connects then I get a black screen, then it disconnects. I completed an install using “sudo ./X11rdp-o-matic.sh –justdoit” on a fresh install of Linux Mint 17.1 MATE. unable to build…. as 0.8, as master branch..
Hmm. Would I be right in saying you’re trying to compile this for a NAS then? I don’t know why you’d be having this trouble on the Debian VM either. rather than with my o-matic script. The link to the xrdp-devel mailing list is on the FAQ page, section 4. Yes, for NAS… I’ve found success story that it works, so decided to try my own.. But with no success in compiling…. But can someone compile packages for x86_64 GNU/Linux? So I’ll try how it will work on NAS, may be it will be impossible to use and no sence for me at all…. exactly the same problem! Help Kevin. Has anyone found a solution? I stopped working on o-matic a good long while back. o-matic is being maintained by someone else these days. I’ll update this blog entry at the top about this. The scripts are a bit of a hobby for me, really, and I look into updating them when “I can be bothered”, if you know what I mean. One of the reasons I bunged ’em on github was in the hope I’d get pull requests from others who are concerned with getting it running on their distro of choice. This has happened in the past, now not so much. Thanks Kyle, when I get the time I’ll have a go at changing the script. i have problems with x11rdp an ubuntu 14.04.2 LTS. get dubious error msg (… some problems) with win7 remote connection client. Somebody solved this problem meanwhile? You’re better off asking on the xrdp-dev mailing list. Link to it is on the RDP FAQ page – see the link to the FAQ page a the top of this blog. Why do you download the source of all the dependencies and complie them instead of using the packages contained on the system. I get segfaults because you compile xrdp/x11rdps against what you download but never provide those dependencies as packages. This is a terrible practice and I ask you to reconsider doing this. I’ve had to completely tear apart your script to make it a sane package that complies against the libraries my distro, Debian Wheezy, provides. Please ask the Xrdp devs this – I use their build script which does the downloading. I wrote this o-matic script, but utilise the buildx.sh script. The reason the Xrdp Dev made the buildx.sh script do what you describe, is because the Xrdp author(s) wanted a static set of known source code in order to compile Xrdp and X11rdp. Frankly, I’m surprised you got segfaults on Debian Wheezy – I’ve tested my script on Wheezy extensively – in fact it was mostly written with Wheezy in mind. The script has been through several iterations in the past 2 years, and has been working as is for many hundreds if not thousands of users. Even more frankly, I am amazed you got Xrdp and X11rdp to compile against the Wheezy-provided packages. first of all thank you fro you effort. I just started to use it yesterday and it works. However some things are strange, which I would like share with you. I’m using Debian Wheezy 7.8 with systemd and used the X11RDP-o-Matic-script to compile the packages. For whatever reason, I could not install it with the flags “–withneutrino –withxrdpvr –withpamuserpass”. After creation of the packages I used the the dpkg command to install. There were two issues with it, only one I could resolve. the first one was, I had to use the command “xrdp-keygen xrdp /etc/xrdp/rsakeys.ini” to create the /etc/xrdp/rsakeys.ini files (see http://scarygliders.net/2011/09/23/install-xrdp-and-x11rdp-the-comprehensive-howto-for-ubuntu-and-debian-based-systems/comment-page-1/#comment-678). This is solved now. Second, unfortunately I can’t start the xrdp service correctly. I always shows me the service is “failed”. Thanks for the work you do. If you would like help, I would apreciate it. Starting xrdp (via systemctl): xrdp.serviceA dependency job for xrdp.service failed. I’m trying to use X11RDP-o-Matic on Debian 8. I had problems when I tried to install it. It looks like it didn’t create all the files needed. So I had to install xrdp manually with atp-get install xrdp. As soon as I installed it it started working. I want to use Windows RDP to connect to my linux server. The Xvnc is working fine. But when I try to log in with Xrdp, I just have the gray box on a black background that says it successfully connected, but it’s stuck there. When I check the /var/log/xrdp-sesman.log, I see both type of connection and they both appear ok. My colleague was able to install it on Debian 7.8. Could it just be the version of Debian that could be causing this problem? I was hoping you might have an idea to help me solve my problem. Anybody here successfully using an android rdp client. I have logged into x11rdp sessions with windows, remmina/linux, ipad (remoter pro) but every andriod app I try either won’t connect, or is really flakey with it’s keyboard or mouse functions. The Microsoft android rdp app reports protocol error, several others just hang. Thanks for the tip about 15.04 compatibility Tim. I edited the xrdp.service and xrdp-sesman.service files but the xrdp service still did not start. Ended up deleting bot files from /lib/systemd/system and it worked! I’m using xubuntu BTW, not sure if it’s any different than Ubuntu in regards to this install. Many thanks Kevin for the X11RDP-o-Matic install as this fixed my copy/paste issue between client and host using RDP which was driving me crazy. On an Ubuntu 12.04 I can connect to X11RDP or VNC without any issues once I’m connected. The interesting thing at the initial XRDP session login is the fonts. all “M” and “W” characters show a subscript or superscript “rt” in their place. It’s all funtional, but looks odd with the missing “M” and “W”s at the login box. How to remove/uninstall x11rdp-o-matic from my system? I didn’t found any information about it. You remove xrdp and x11rdp, which are the two packages that the o-matic script produces and installs. To remove the X11rdp-oMatic script, just remove the X11RDP-o-Matic directory – you may need to sudo/su to root to remove it. I try to configure my PKG_CONFIG_PATH but it doesn’t work :( Do you have any solution for me please ? Try to push this debian and ubuntu official repo. Without this x11rdp is pretty useless. OMG! I have been struggling with a secure remote for xubuntu for a year and this just works. I could never get it to work from xrdp in the repository. I run 17 xubuntu 14.04s at our local library, thanks so much! Will we be contacted when there are updates? I haven’t updated the script for ages. But keep an eye on the repo at github, link in the o-matic page. If I ever get the will, I’ll update the script. But XRDP gets updated quite often, and re-running the script should update to whatever xrdp’s been updated with. I installed this on Lubuntu 14.04 and RDPsesconfig.sh set command in .xsession to ‘startlubuntu’. It should be ‘lxsession -e LXDE -s Lubuntu’ instead. Not sure if this is the same in more recent versions. First. Thanks for compiling in just one installer the myriad of work necessary to get xrdp working with ubuntu 14.04. Then, we are experiencing an issue with the the sensitivity of vertical scrolling with trackpad or scroll wheel, both. When you try to scroll if you go really slow nothing happens until suddenly it scrolls several lines. Any attempt to scroll-as-usual results in scrolling jumps giving the feeling that the scrolling speed is too fast. Any feedback on how to tweak it? 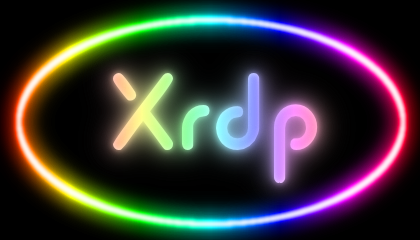 Any problems with the use of XRDP itself, should go to the xrdp-devel mailing list – as the developers of xrdp (of whom I am not one :) ) need this kind of feedback or questions, just in case it’s a problem introduced by some of their development work, or it’s a new problem never before encountered. I have provided a link to the xrdp-devel list in the RDP FAQ page – link at the top menu of this site. Ubuntu 15.10 (Ubuntu Mate 15.10 in my case) fails to build / install properly. In the packages directory there is a x11rdp_0.9.0+master-1_amd64.deb in one directory, but the xrdp directory is empty. Also no config or startup files are deployed to /etc. X11rdp and xrdp should now be fully installed, configured, and running on this system. One last thing to do now is to configure which desktop will be presented to the user after they log in via RDP. You may not have to do this – test by logging into xrdp now. Or use the RDPsesconfig.sh utility to configure a session’s desktop. Package automake1.9 is not available, but is referred to by another package. Installing fakeroot manually (sudo apt-get install fakeroot) got it past that error, and now both .debs are there. A dependency job for xrdp.service failed. See ‘journalctl -xe’ for details. I do in fact have it running now. I had to install the .deb packages manually (dpkg -i …). I tried enabling the init.d scripts in the usual way, but Ubuntu seems to not like this, and doesn’t like the fact that xrpd-sesman is started from the same script as xrdp. So I started both xrdp and xrdp-sesman manually, and tried to connect. I then found that /etc/xrdp/rsakeys didn’t exist (which normally gets created by /etc/init.d/xrdp on first run) was missing, so I created this manually. So my guess is that there are going to need to be tweaks both to the upstream xrdp stuff and to the x11rdp-o-matic script. For me, I will need to work out what to change in the init script department so I don’t have to start the components manually. If maintaining o-matic – spending hours/days testing it on every new version of Linux – was something which paid my bills and fed my family, I’d be all over it. Unfortunately, reality deems this impossible. I’m sorry you’re having problems with Ubuntu 15.something, though. This isn’t a complaint at you – I am in a similar situation. I’m hoping that what I have written will help anyone else going down the same route. x11rdp-o-matic-version-3-10 is really nice but it will mess up your mint 17.2 mate mintmenu, However i got it working on lubuntu 14.04 and 15.04. But I would prefer mint! I found a solution for my mint17.2 mate. mintmenu is disabled because of some permission issues. First time when I log in remotely over xrdp after restart .Xauthority file from home folder gets deleted and after that you can’t open “software manager” and many other applications. Hi Kevin, first of all congratulations on your work! and DRI_LIBS to avoid the need to call pkg-config. I’m running this on a Debian 8.2 (Jessie) based distro (Armbian) on an ARMv7 board (Banana Pi). I’ve installed LXDE/Openbox. I’m a relatively Linux newbie, so I’m a bit lost on this. I read the previous comments and there was a similar situation in the past, but it didn’t help. I’ve run the manual process successfully (had to make changes in 2 files though), but LXDE stopped working, though I don’t know if it was due to the compilation/installation or something else I did. However, it appears to be an older version of X11rdp and I’m not sure if it would work here. I’ll try anyway.. Anyway, can you help on this? Hi Kevin, big thanks for your work! Are you plannig to make script for armhf distr? I am using Ubuntu MATE for the Raspberry Pi 2. Have you tried running it on your Pi? I have no plans to do any more work on this script due to losing interest in all things RDP on linux. I have, however, given commit access on github to a couple of the XRDP developers who have already merged pull requests to improve the script, so it is still being maintained and improved upon. I’m new to Linux and I want to rdp my Ubuntu machine from a Windows 7 machine. ps –ela does lot list xrdp process nor it lists x11rdp. How do I get it work? Thank you.